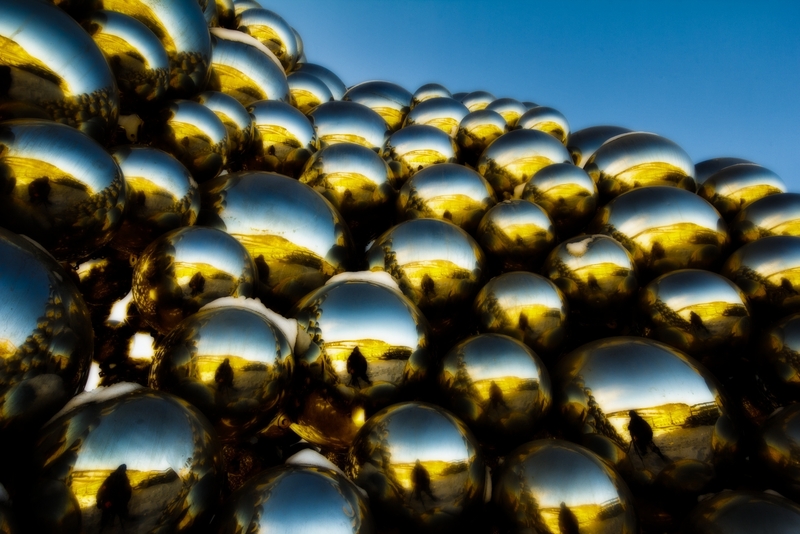 Metallic spheres are jumbled into a pile in an architectural or sculptural masterpiece on the east side of the southern end of Edmonton’s Quesnel bridge, a marvel … the kind you would expect to find near or under Seattle’s Space Needle. Listening to and fretting David Gray’s Sail Away and Dar Williams’ The Beauty of the Rain. Really cool shot. Shapes, colours, contours, reflections… awesome.